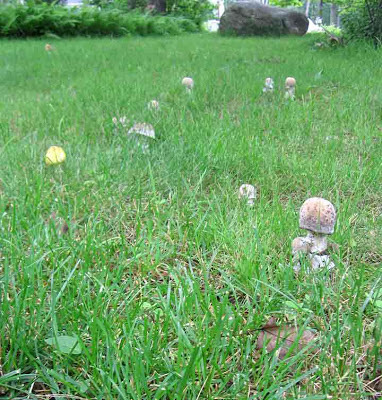 About the time of year that I have to clean the blue crud from the phone jacks in the house, the mushroom field in the front yard fills up with full a variety mushrooms. Until three or four years ago, that part of the yard was just "lawn." 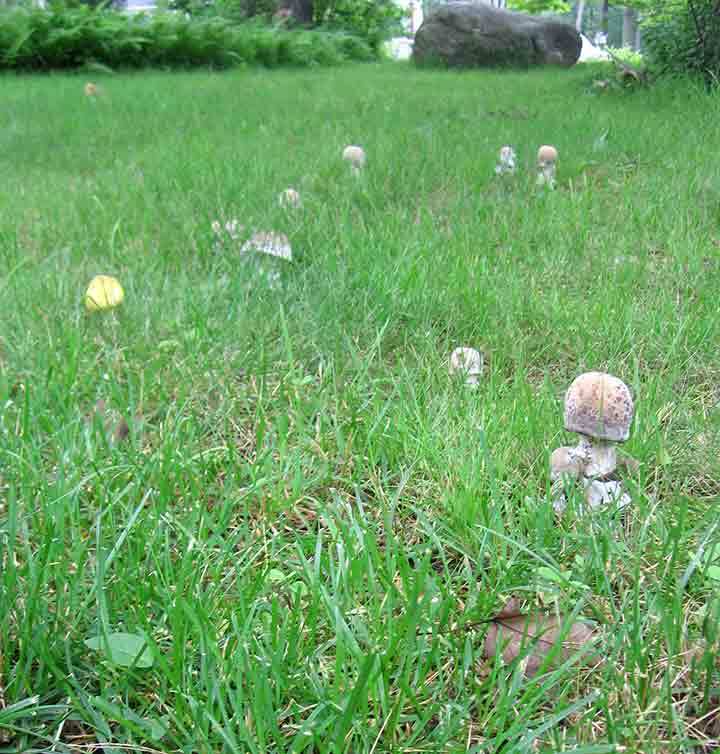 Then, about three years ago, mushrooms started growing there. 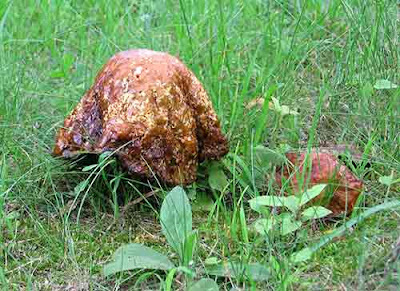 The mushrooms seem to show up overnight, last a week or so, then disappear as quickly as they appeared. I avoid cutting that part of the lawn until they are gone. This year, there seems to be fewer mushrooms than in past years, but there still is a wide variety in interesting colors and shapes.